Boston Red Sox perennial MVP candidate Mookie Betts wore these black Jordan Jeter Lux cleats during the 2017 MLB season. 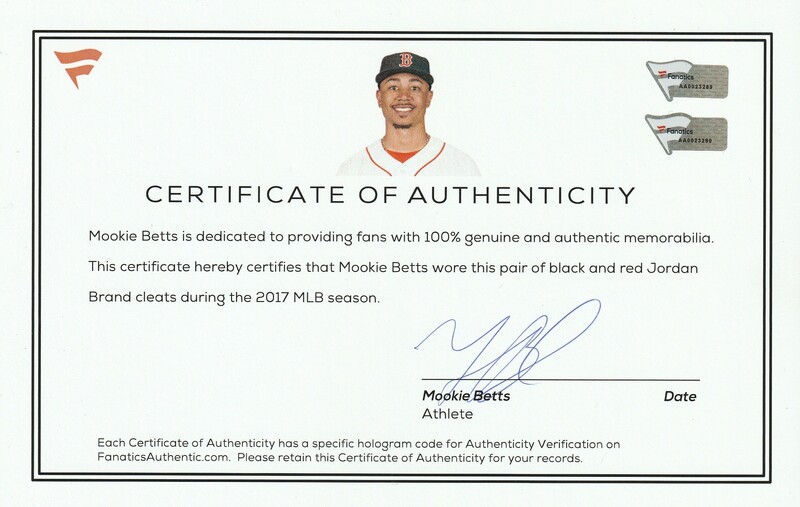 Betts, an All-Star in 2017, had an exceptional season for the Sox, hitting 24 homers with 102 RBI and 24 stolen bases. The rangy rightfielder chipped in 46 doubles and scored 101 runs for the American League East champion Red Sox. 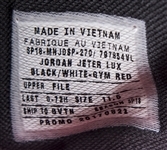 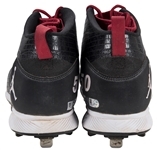 These cleats are lack with red accents, and feature words printed in black across the body of the cleats. 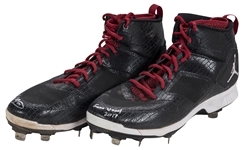 The laces are red, and a red sock-like lining is present inside each cleat. 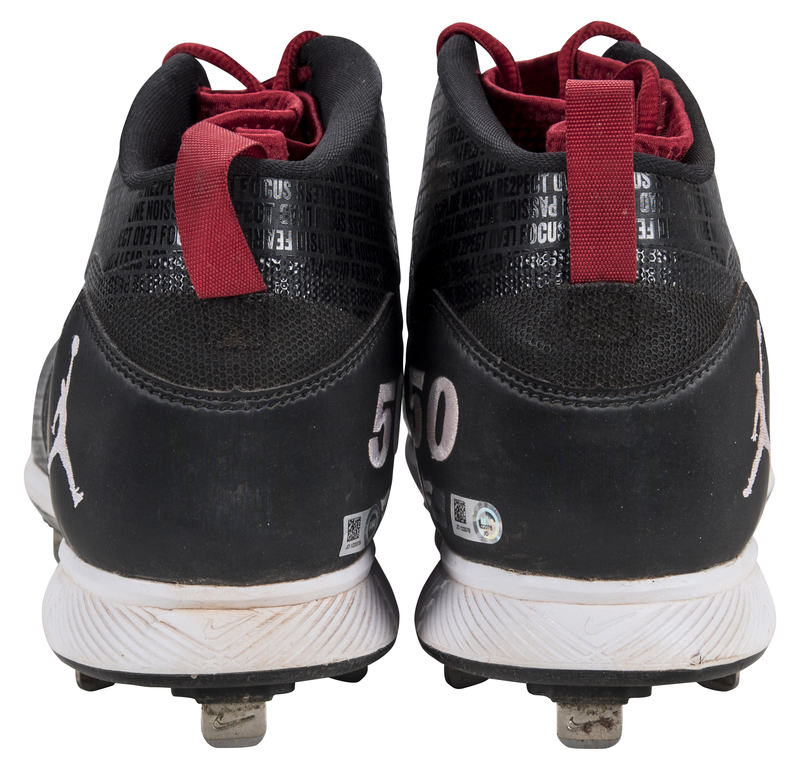 Each heel has Betts’ number “50” and the Jumpman logo embroidered in white. 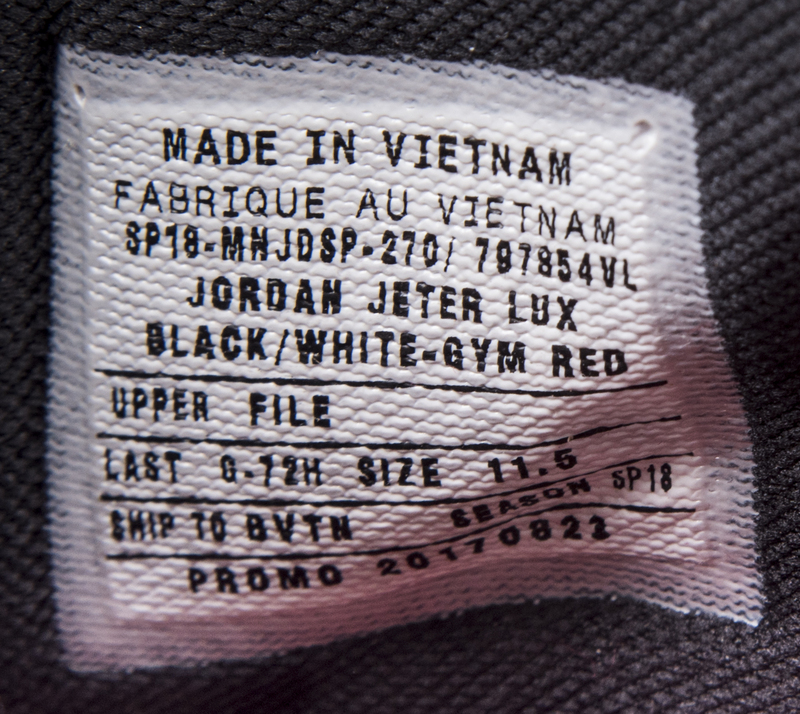 “Re2pect” is printed on each tongue of the size 11.5 cleats. 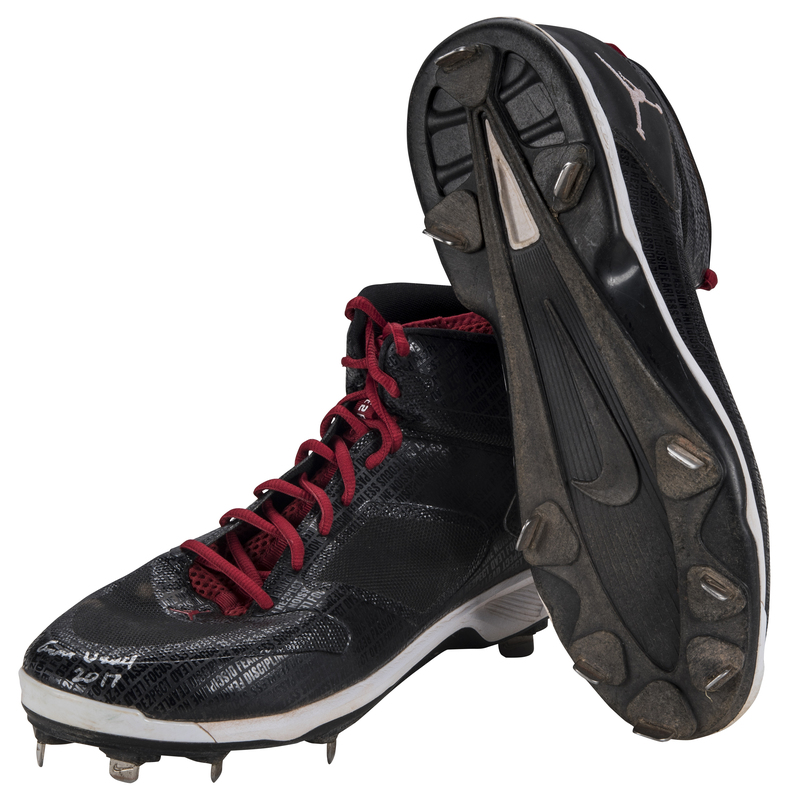 Nine metal spikes are present on the soles of each cleat. 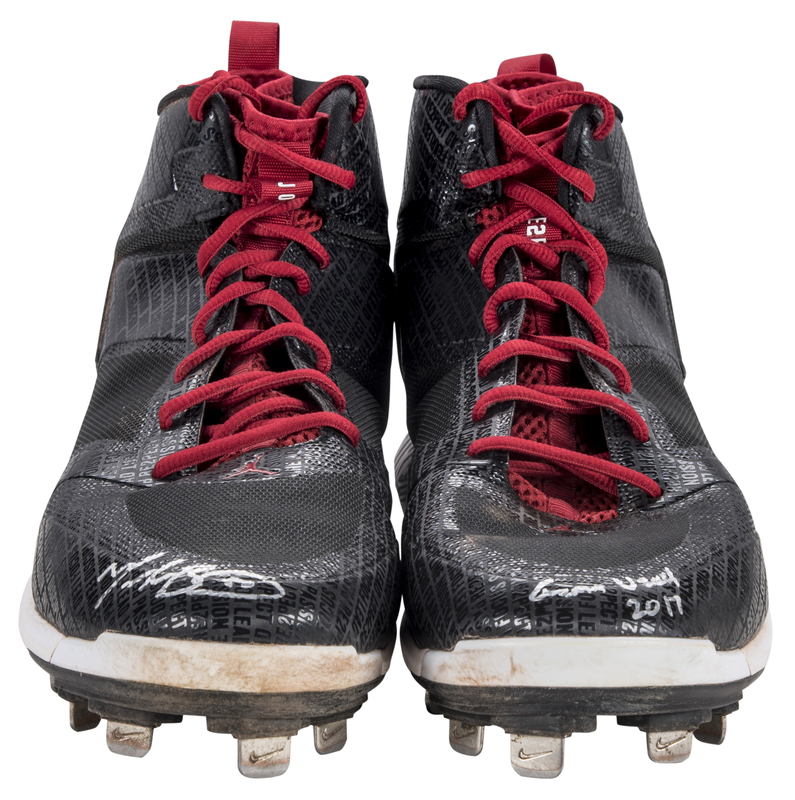 Betts has signed the toe of the right cleat in silver marker and inscribed “Game Used 2017” on the toe of the left cleat. 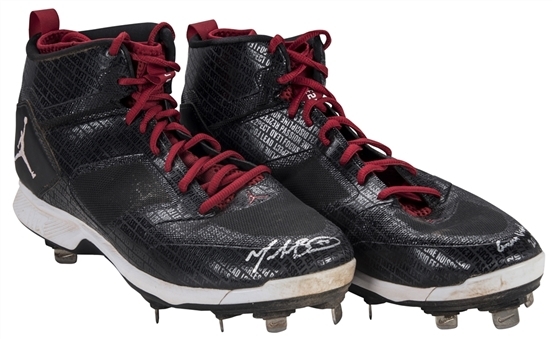 These cleats each come with a MLB Authenticated hologram (JD 122078, JD 122079) and a Fanatics hologram (AA0023289, AA0023290). 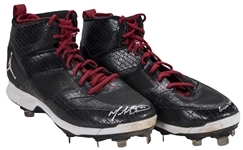 A COA from Fanatics signed by Betts also accompanies this lot.